"Complete Technical Service and Expert Craftsmanship Since 1976"
Fenton Murray, RPT has been tuning, repairing and rebuilding pianos in the Santa Cruz County area since 1979. I specialize in rebuilding Steinway and other quality grand pianos. Contact Fenton Murray, RPT for quality piano service including action regulation, custom grand action design balancing, voicing, piano tuning and all types of piano repair. 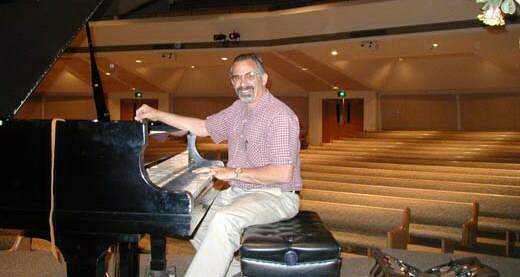 Fenton Murray, RPT maintains a complete piano rebuilding shop in Royal Oaks, CA. Please look around my site, click on the links, and contact me if you have any questions.